March 2-4, 2012. New York City. 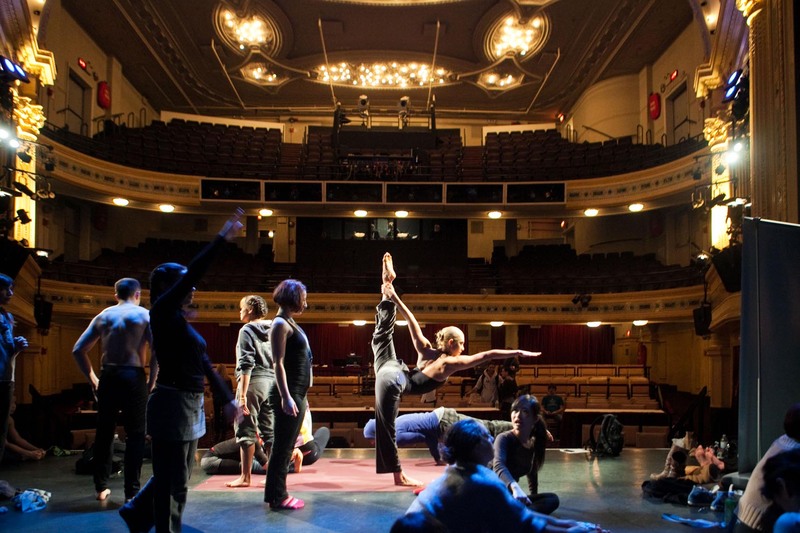 Regional and National USA Yoga Asana Championship in Hudson Theatre. Here, an ex. ballet dancer, Paige Grimard, 22, during her warm up onstage before the NY regionals. Piotr Redlinski for The New York Times.